First, I have to apologize for the lack of updates and the very short post from last time. Transfer day really crept up on us and I still cannot believe it really happened. It really, really happened!! So a few weeks ago we did egg retrieval. After a rough time with the meds, hormone levels, follicles sizes, we were blessed to be able to retrieve 10 eggs! The next day they called to tell us 7 were able to fertilize. A few days later we were told that 5 we able to grow and then they were frozen. I continued medications and all of a sudden it was time for transfer. Aaron and I arrived at the office around 8:30 am. I checked in and we were sent to the back to the spa. It was so beautiful. I went downstairs to change and then back up to do a round of acupuncture. 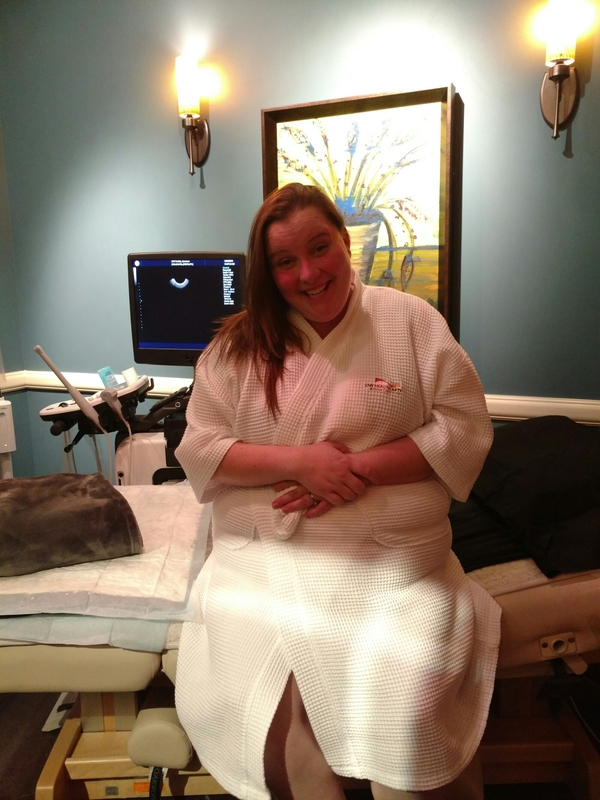 Acupuncture is recommended to increase blood flow to my uterus in hopes that it helps with implant. 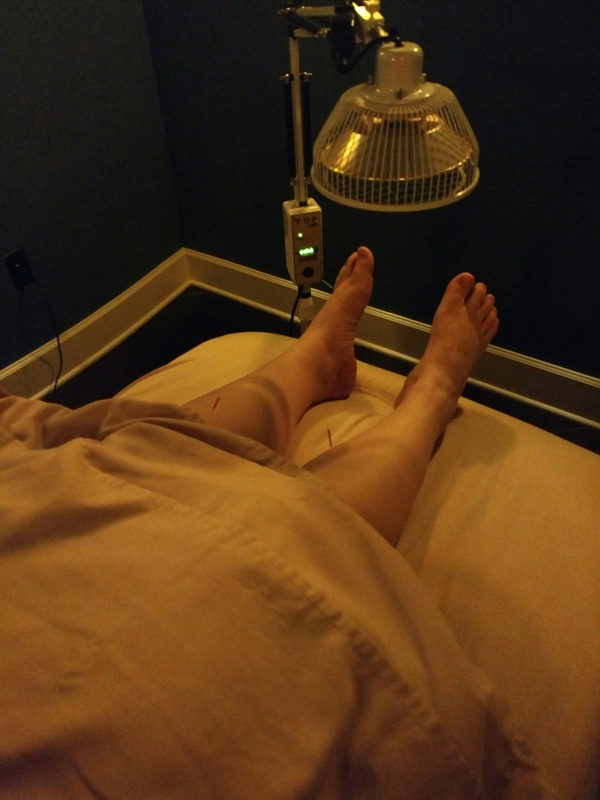 I was a nervous wreck but being in the acupuncture room with low lights and lite music on was helpful in calming me as much as possible. After acupuncture we were sent to the room where we’d have transfer. I was seriously so excited I couldn’t stop talking. Please note my beautiful robe as well as the excitement on my face. That fuzzy blanket was a God send because it was a little chilly in there! After she left Aaron and I just couldn’t believe the things we had just heard. I cried, of course. Then another nurse came in and offered me a beautiful thing called Valium. It was to help me relax and it definitely worked. The next thing I knew the doctor came in and it was time. 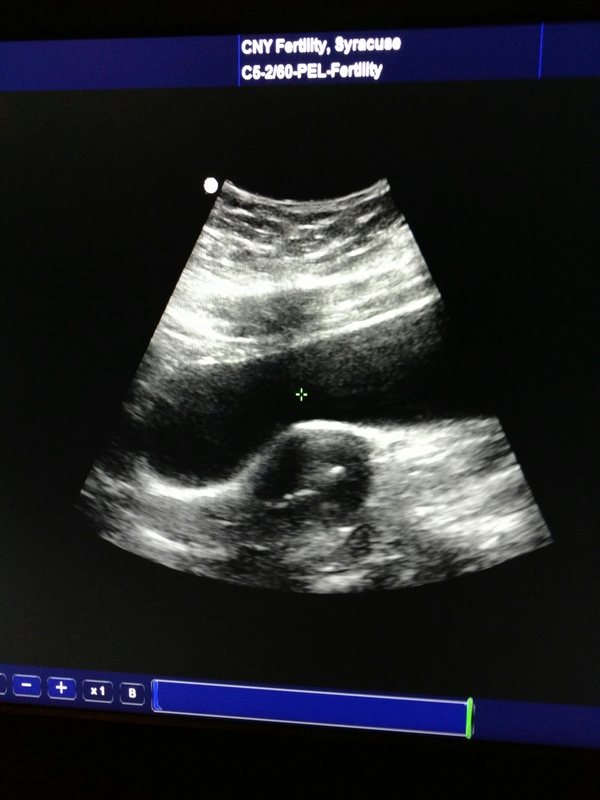 We watched on the screen as our little embryo was transferred. It was such an amazing moment and it was beautiful! 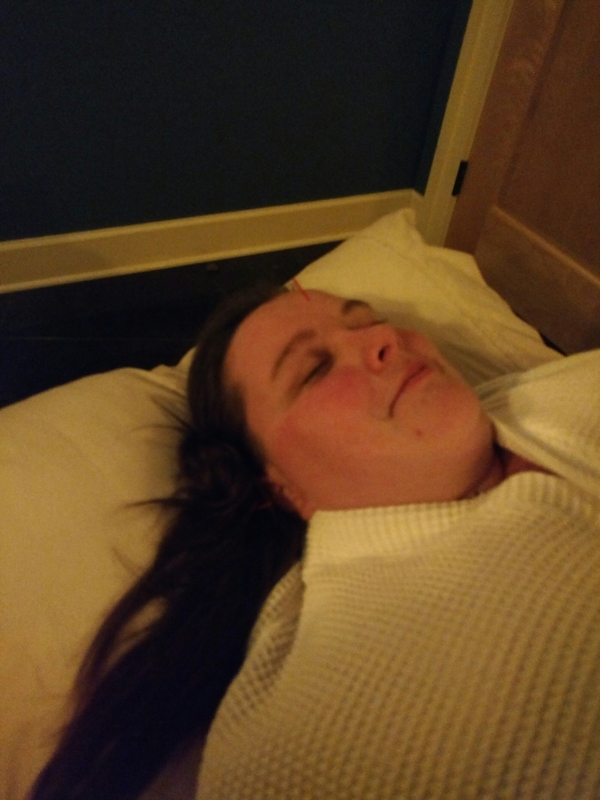 After transfer I went back upstairs and did another round of acupuncture. I slept the entire hour of treatment. Over the next 24 hours I just relaxed and watched movies. I also took the next day off from work as our class was taking a field trip to the zoo and I wasn’t up for all that walking. And now we wait… One week. < Previous Life is a little crazy!